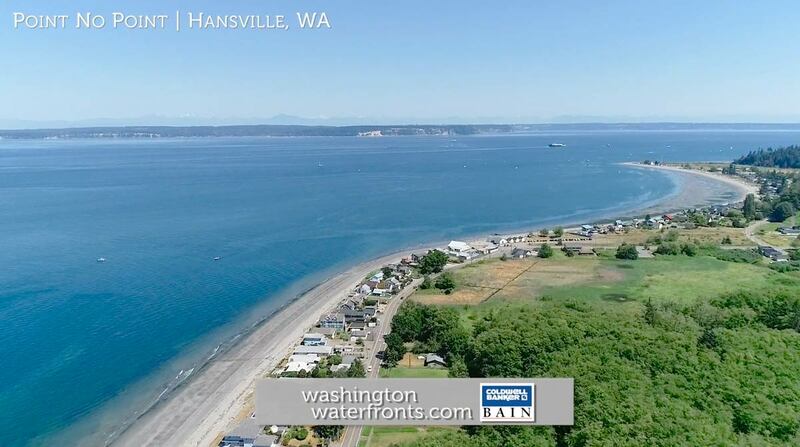 Hansville is an especially picturesque coastal community located on the northern tip of the Kitsap Peninsula, providing Hansville waterfront real estate owners with spectacular sweeping vistas of the Puget Sound, Mount Baker and the Cascades and Whidbey Island. Here residents can enjoy a wide range of activities on the water, including fishing for salmon right from the shore, fantastic wildlife viewing, and just relaxing while watching the marine traffic pass by. As Hansville tends to receive some of the lowest rainfall totals in the area, you’ll be able to take advantage of the natural surroundings under the rays of the sun more often too. While you’ll have plenty of ways to relax and get active among nature at home when owning Hansville waterfront real estate, you won’t have to drive far for dining and shopping. The HansGrill Grocery Store & Café offers provisions for picnics, boating and fishing as well as hosting a cafe with a full-service bar, while Poulsbo, the nearest city, is about 14 miles northeast. It offers the chance to stroll its streets that have a distinct Scandinavian feel, due to its early Norwegian residents, a highly walkable downtown with boutiques, antique shops, galleries, waterfront restaurants, museums and a fantastic Scandinavian bakery, as well as grocery stores and other services. The Kingston Ferry is just 10 miles away, making it easy to reach cities on the east side of the Puget Sound, from Edmonds to Bellevue and Seattle. Purchasing Hansville waterfront real estate means being able to enjoy one of the most jaw- dropping views around, watch the bald eagles soar by and even witness whales that can put on some impressive performances too. You may even have your very own stretch of sand to stroll, and perhaps an outdoor hot tub for soaking while taking in those glorious vistas. Take advantage of our industry-leading tools to make your property search as easy as possible and be sure to register for a FREE account so that you can receive email alerts whenever new Hansville waterfront real estate for sale hits the market. If you're seeking to sell your Hansville waterfront property, contact our Waterfront Specialists directly for a comprehensive listing analysis and to learn more about the cutting-edge marketing strategies we'll use to sell your home quickly for top dollar!